Many of us are alienated from our bodies or view them as an impediment to spiritual realization. 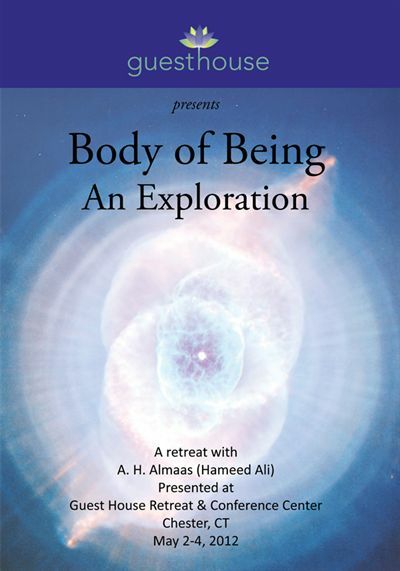 This workshop looks at the body from the perspective of the Diamond Approach®, a modern spiritual practice that involves open inquiry into one’s experience through traditional meditation and other methods, along with psychological exploration. This workshop, recommended for both new and advanced students, includes a rare introduction to some of the core practices used in the Diamond Approach, and addresses questions such as: How can we utilize our embodiment effectively for inner work? What happens to the body in the process of awakening and realization? What is the body in the realized condition? These are just a few of the avenues of inquiry explored by A. H. Almaas in this fascinating presentation, which includes experiential exercises you can do at home. A. H. Almaas (Hameed Ali) is the originator of the Diamond Approach® and founder of the Ridhwan School, and has been teaching individuals around the world for the past 35years. He is the author of over a dozen books, including Luminous Night’s Journey, Essence, Facets of Unity and The Unfolding Now. Copyright © 2012 A. Hameed Ali. All Rights Reserved.